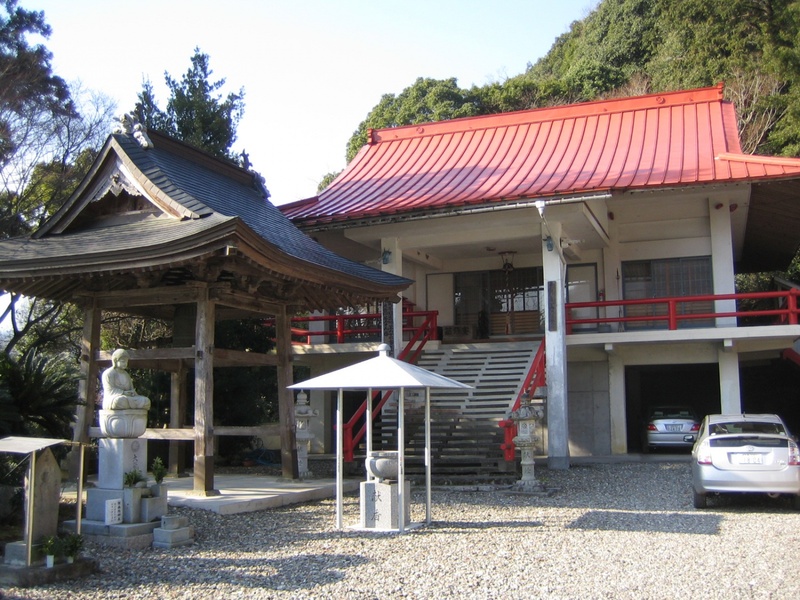 This temple was founded about 1,200 years ago (Daidou Era 806-810) and the “Sei-Kannon-Ritsuzo” (the carved wooden statue of sacred *kannon-the Goddess of Mercy) is enshrined here and is designated as a National Cultural Heritage. The statue is carved out of one piece of wood, which goes back to Fujiwara Era . She has stout body, short neck, big hair style called “Takara-Gami” and square-built figure, which resembles classic style in appearance. Once a year on 29th January at the temple festival, they allow the public viewing of the Kannon image, whose face is very serene. It is also known that here stands the tomb of Nagayoshi Miyoshi, the descendant of Nagakiyo Ogasawara who strengthened their power base to rule Awa region. Get off the express way at Ikawa-Ikeda IC→Take the National route 32 towards Takamatsu→Take the Prefectural road 12→Take the Municipal road→Taki-Ji (The journey takes approx. 30 minutes by car.) Takes 10 minutes by car from the nearest train station, JR Eguchi.